Molly Sabouorin can feel it coming, the dramatic pause and raised eyebrow at her response to the conversational inquiry about where her and her family attend Church. Especially if this question is a follow-up to the obligatory, “Where did you go to college?’ or “Where did you and your husband meet?” She understands the confusion and try her best to buffer the blow that she, a Bible College graduate, has indeed converted to Orthodox Christianity. It has been ten years since Molly and her husband Troy made that life changing decision. This ancient sacrament officially confirmed their desire to join the Eastern Orthodox Church through the receiving of Chrism and the Holy Eucharist. As they stood there, foreheads and feet glistening with fragrant oil, Molly felt certain that the door she had been knocking on for the past two years had opened at last – to this place, at this moment, by the grace of God. Molly grew up with a firm belief in the death and resurrection of Jesus Christ. Her family attended Church every Sunday morning, and she was a regular attendee of Sunday School, church camp, Vacation Bible School, and high school youth group. All of these experiences validated her conviction that she was loved and known by God. As she entered her teenage years, this faith remained integral to her actions, thoughts, and decisions. After high school graduation, she enrolled at Moody Bible Institute, a well-known and respected Bible College in downtown Chicago. She didn’t have a good handle on what she wanted to be, or do, or study, and this small, close to home, conservative institution seemed like a safe place for her to break out on my own. She was ill-prepared for the mind-blowing experience she would soon enter as she was trained and tested in the tenets of “Systematic Theology”, “Christian Life and Ethics”, “Personal Evangelism”, and “Church at Work in the World”. There was more to Christianity than just “me and Jesus”, apparently, and her heart and intellect collided in the endeavor to sift through the many opposing doctrines being tossed in her lap for scrutiny. She missed the old days, before everything was so complicated, but like a child who has seen her father eat the Christmas cookies left for Santa, she couldn’t trust any longer in the simplicity of her childhood beliefs. 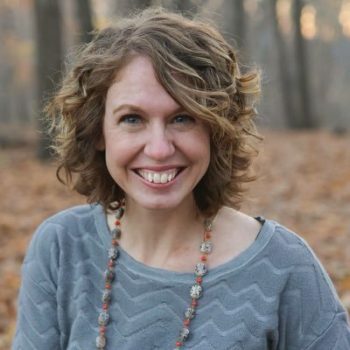 After two years at Moody, she became a notorious church hopper. Most of her attendance decisions were based on convenience and with all the time she spent in chapel, Mission’s Conference and the annual Founder’s Week Bible conferences, she didn’t feel it necessary to plug into any one community. Molly had started dating by that time her future husband, Troy. The shared similar frustrations, and a conviction that Christianity must contain elements they had not experienced thus far. Sometimes they would make the effort to peek outside their familiar circumference and take in a Lutheran, Episcopalian, or even a Catholic Service. The winter semester of her Junior year, she was the given the assignment to attend a church service and evaluate its musical style. Troy had in his notebook the address of an Orthodox Church in the city he had been given by a student at the University of Illinois at Chicago. That Sunday they took the bus to Holy Trinity Cathedral. She would never forget the awe and fear that nearly took her breath away as they opened the heavy, wooden doors, and peered for the first time into the extravagantly foreign depths of Orthodoxy. The Orthodox Church caters to the senses of its members. Visually, it is a feast for the eyes. Every church she had attended growing up, felt safe and warm in its familiarity. The sanctuaries looked much like my own living room, the kind pastors approachable in their sport coats and dress pants. The choruses were upbeat and melodic. The contrast on that Sunday was shocking. She did not get the sense from Holy Trinity Cathedral that she was welcome to come in and be ministered to. It was she who was expected to do the participating. Molly and Troy continued to date, becoming more serious over time. Partly out of curiosity and partly out of love for Troy, she agreed to a few occasional visits over the next couple of months. Inside her head, throughout that time, was a scary place to be. She felt, literally, sick to her stomach as she imagined the faces of friends, family and professors, narrowing their eyes and turning down the corners of their mouths, demanding an explanation for this foolishness. Being so accustomed to arrogantly picking apart everyone else’s faith, she had never realized the toll it was taking on her own spiritual life. She had lost, or perhaps had never even discovered, the awesome and mysteriously indefinable Gospel message. Troy and Molly were engaged in December of 1996. She knew, without a doubt, that she wanted to spend the rest of her life with Troy but she was no less miserable in that the road ahead was foggy and treacherous. The more confident Troy became in his conviction to join the Orthodox Church, the more she resented his courage, her fear, and even God, Himself for presenting these choices without identifying the correct one with a big green checkmark. Holy Trinity was offering catechism classes for those who were interested in learning more about the Orthodox faith. There was so much she didn’t know. It would take a lifetime to familiarize myself with the symbolism, Church calendar, choir tones, and so forth. Orthodoxy is not easy. Many have jumped with fervor into her fullness, ultimately drowning from a lack of stamina. Orthodoxy should be savored slowly, taking bigger bites as your appetite naturally increases, not swallowed whole in one big zealous gulp. In humble amazement over the years since our conversion, Troy and Molly have attended the chrismation services of one friend or family member after another. To worship alongside her brother, her parents, her college roommates and their husbands and children is nothing short of miraculous.